The food industry has been busy lately examining the FDA's $1.95 billion budget proposal for fiscal year 2007. Despite FDA's overall budget being increased, the parent Dept. of Health and Human Services (HHS) has shifted some funding, which could negatively impact the food industry. In particular, HHS moved $52 million from programs it considers less important (e.g., generic drug research, inspections of low-risk food imports, premarket review of food and color additives, food and animal drug center research, and food and drug field investigations) to those it deems higher priority (flu pandemic preparation, inspection of food for bioterrorism agents, and drug safety). Of greatest potential impact to the food and food packaging industries, the administration's proposed budget does not include funding for FDA's Food Contact Notification (FCN) program. After a long history of dealing with regulation of food-contact substances, the industry and FDA (specifically, the Center for Food Safety and Applied Nutrition) had finally come to a place of happy mutual existence with the FCN program. Now, many feel the new proposal is a step in the wrong direction - backward. 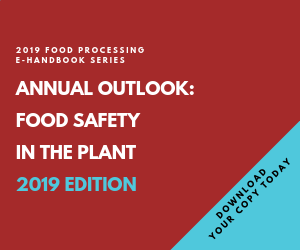 The FCN program, which was implemented in 2000, allows companies that are introducing food-contact materials to file an FCN rather than a Food Additive Petition (FAP). Prior to the FCN program (in the dark ages between 1958 and 2000), food-contact materials were regulated essentially in the same way that direct food additives were regulated. In the absence of an existing suitable regulatory status, it was necessary to file a Food Additive Petition with FDA seeking a responsive food additive regulation authorizing use of the material. FDA's review of an FAP - covering a food-contact substance or a conventional food additive - generally requires two to five years and involves publication of a final rule in the Federal Register. The Food, Drug and Cosmetic Act long has directed FDA to review food additive petitions in 90 days, not two to five years, but the agency generally requires more time than 90 days. Petitioners generally cooperate with extensions of the review period rather than risking denial of the petition. After decades of industry concern with FDA's handling of the petition program, a notification proposal, which eventually became the FCN program, was introduced as part of the Food and Drug Administration Modernization Act of 1997. The FCN program quickly became a welcome replacement for companies that would have previously filed a petition or sought a "threshold of regulation" determination (which is available, on a case-by-case basis, for certain food-contact substances that may migrate into food at levels corresponding to 0.5 parts per billion in the diet or less). In stark contrast to the food additive petition process, the FCN program allows a company to submit a notification to the agency and then wait 120 days. Unless the agency objects on grounds of safety or completeness within that time period, the notification is automatically effective. This program has been a great success and has increased the number of food-contact substances reviewed and cleared by FDA from an average of 30 a year to more than 100 in 2005. The advantages of this program include not only a dramatically shorter time period for review, but companies filing FCNs are provided a proprietary advantage. A substance cleared through a food additive petition is available for anyone to use, not only the petitioner, as long as the additive is used in accordance with FDA's specifications included in the food additive regulation and subject to any patent protection. An effective FCN, on the other hand, may be relied upon only by the notifier and customers of the notifier. These advantages -- short, efficient review time and market exclusivity (until a copycat submission is filed) -- have made the program popular with the food industry. The program is also supported by FDA as an improvement over the manner in which food-contact substances were formerly reviewed through Food Additive Petitions. The 2007 budget proposal would put an end to this period of enlightenment, ostensibly to save resources at FDA. Perhaps most disappointingly, elimination of the FCN program would not save any resources at FDA, assuming that some number of substances formerly eligible for review as FCNs are submitted for review as Food Additive Petitions. Food Additive Petitions are more resource-intensive for FDA. Thus, the agency will not actually save any resources unless it allows Food Additive Petitions to sit unreviewed. The food industry is currently working to save the FCN program, and this may be only one of many changes that are made before the 2007 budget is adopted by Congress later this year.